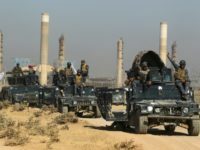 Baghdad and Kurdish leaders have ordered the removal of Iran-backed Shiite militias from Kirkuk and the return of the oil-rich city to the control of the autonomous Kurdistan Regional Government (KRG), Rudaw reported Thursday. 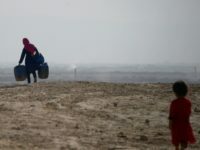 Residents of a disputed district of Kirkuk, a region claimed by Baghdad and northern Iraq’s autonomous Kurdistan Regional Government (KRG), are accusing federal police-backed Arab settlers of confiscating Kurdish lands, Rudaw reported Monday. 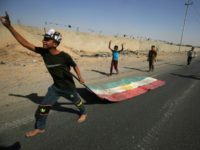 Residents in Kirkuk, Iraq, are protesting that they have run “out of water,” joining a chorus of protests in cities like Basra over Baghdad’s inability to provide basic government services, the Kurdish outlet Rudaw reported on Wednesday. 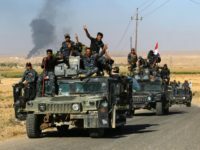 The Iraqi government has removed 47 Kurdish officials from their posts in Kirkuk, beginning with the regional governor, since reasserting control over the disputed region in October 2017. 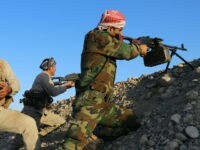 The use of “Kurdish phrases” was banned on Tuesday by the state-run North Gas Company, which operates in Kirkuk. 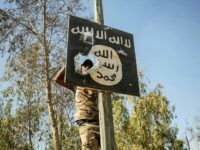 The Islamic State has begun exacerbating concerns about the availability of electricity in Iraq by targeting power plants and other key infrastructure for destruction. 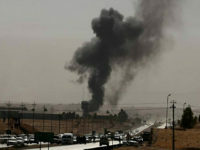 Baghdad announced on Sunday that unspecified “terrorist groups,” which observing media identify as the Islamic State, blew up a power plant in Kirkuk. The Shiite-led Iraqi government is trying to force a demographic change in 500 Kurdish villages across northern Iraq’s disputed Kirkuk province, arming and resettling thousands of Shiite Arabs in the region, a Kurdish mayor reportedly claimed this week. 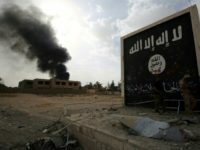 The Islamic State (ISIS/ISIL) killed the head of a village and three farmers in the most recent attacks in northern Iraq’s Kirkuk province, a testament to the menace posed by the jihadist organization six months after Baghdad declared final victory over it, Kurdistan 24 learned from an anonymous source this week. Masrour Barzani, the head of the Kurdistan Regional Government (KRG) security council in Iraq, told the outlet Kurdistan 24 during a visit to Washington this week that the Islamic State is “re-emerging” in places like Kirkuk, previously held by the Kurdish Peshmerga. 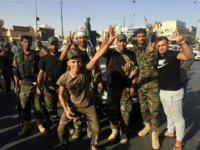 Members of Iraq’s Iran-backed Popular Mobilization Forces (PMF/PMU) confirmed on Monday that Islamic State terrorists killed “at least 27” of their fighters and kidnapped about two dozen more near Kirkuk, a city the PMF invaded and conquered late last year. 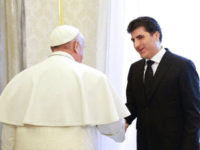 Iraq’s Kurdistan Regional Government (KRG) is seeking aid from the Vatican and, reportedly, the normalization of ties to Iran three months after President Donald Trump announced Washington would not “take sides” between its longtime allies, the Kurds, and the Iran-backed regime in Baghdad. 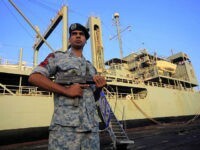 The head of Iran’s Navy, Commander Rear Admiral Hossein Khanzadi, promised in his first speech since his appointment to “fly the Iranian flag in the Gulf of Mexico,” encouraging Navy officers to consider an Iranian presence in the Atlantic Ocean a pivotal goal and soon-to-be routine occurrence. 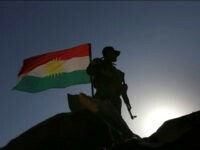 TEL AVIV – Iraqi Kurdistan’s warnings that it could face another genocide at the hands of the growing alliance between Iraq and Iranian forces in the region if the West continues to ignore its predicament are legitimate, an expert on Islamic terror said on Wednesday. 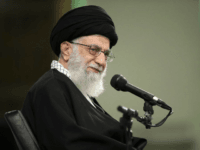 TEL AVIV – In its ongoing attempt to drive the U.S. and Iraq apart, Iran’s supreme leader Ayatollah Ali Khamenei told Iraq’s U.S.-backed prime minister on Thursday that America was not to be trusted and he should not depend on it when fighting the Islamic State, Reuters reported quoting Iran’s state TV. 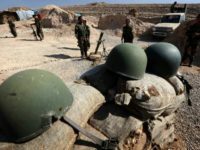 Reports on Friday morning indicated that the Iraqi Kurdish Peshmerga had reached a ceasefire agreement with the Iraqi military, which began an invasion into Kurdish territory following September’s independence referendum in Kurdistan. 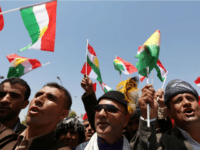 The Patriotic Union of Kurdistan (PUK), a minority party in the Kurdistan Regional Government (KRG) of Iraq, has warned that continued attacks by the Iraqi military and Iran-backed Shiite militias could result in another “genocide” campaign against the ethnic group. 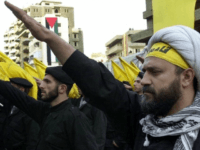 A senior leader within the Iran-backed Shiite terrorist organization Hezbollah has described the invasion of Kurdish-held Kirkuk, Iraq, as “a victory over the U.S. and Israel,” referring to the attack as “our victory” specifically. Hezbollah’s executive council deputy head Sheikh Nabil Qaouk has called the routing of Kurdish Peshmerga forces in Kirkuk by Iranian-backed Iraqi troops a victory by the resistance over the United States and Israel. State Department Spokeswoman Heather Nauert continued efforts to tamp down the flames threatening to ignite northern Iraq in war Friday. 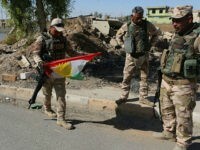 The BBC reported “fierce clashes between Kurdish and Iraqi troops north of Kirkuk city” on Friday, indicating the Iraqi offensive is proceeding well beyond its originally stated goal of preventing independence-minded Kurds from absorbing Kirkuk and its oil fields into a prospective new state. 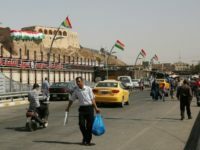 Kurdish authorities estimate that 100,000 people have fled Kirkuk, Iraq this week – formerly under control of the Kurdistan Regional Government (KRG) but now lost to the Baghdad government and its Iran-backed Shiite militia allies. Bayan Sami Abdul Rahman, the Kurdistan regional government representative to the United States, spoke with Breitbart News Daily SiriusXM host Alex Marlow on Thursday regarding the thousands of Kurds fleeing Kirkuk following the Iraqi Army invasion of the city after an independence referendum. 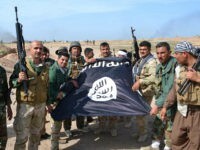 The Kurdish Rudaw news service reported Wednesday on abusive and offensive behavior by the Iran-backed Shiite militia forces occupying Kirkuk, accused the U.S. military of turning a blind eye to the Iranian invasion, and, most disturbingly, accused Shiite fighters of beheading captured Kurdish Peshmerga soldiers. The Kurdish outlet Rudaw has published a video allegedly showing a member of the Popular Mobilization Forces (PMF), a coalition of mostly Shiite Iran-backed militias, hanging a photo of Iranian Supreme Leader Ayatollah Khamenei in the Kirkuk, Iraq, governorate’s building. 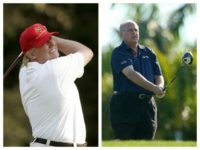 State Department Spokeswoman Heather Nauert gave an update Tuesday on the difficult situation in which American diplomats find themselves in Iraq as two of their putative allies settle into an armed face-off that threatens to escalate into yet another chapter in the country’s 14-year civil war. 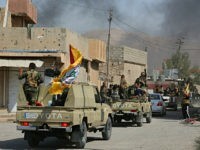 Advancing Iraqi troops, backed by Iran-allied Shiite militias, are reportedly coercing “thousands” of residents to abandon the Kurdish-held multi-ethnic city of Kirkuk in northern Iraq, a testament to the ongoing altercations triggered by Iraqi Kurdistan’s independence referendum last month. 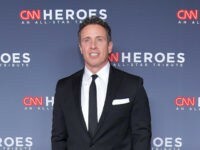 Pentagon spokesman Army Col. 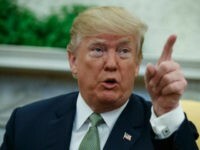 Rob Manning told reporters on Monday that the U.S. military could potentially reconsider supporting the Iraqi military if attacks on Kurdistan Regional Government (KRG) territory continued, emphasizing that he would not “speculate” on any future actions at the moment. 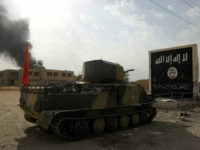 Terrorists affiliated with the Islamic State have resurfaced in the Kirkuk region of Iraq, reportedly attacking two villages north of Kirkuk city mere hours after the Iraqi military and its Iran-backed militia allies began an invasion against the Kurdish government controlling the city. As President Barack Obama departed office, he assured us he was leaving behind a much safer world. He lied. 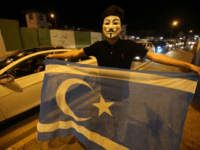 The freshly-appointed interim governor of Kirkuk, Rakan Ali al-Jabouri, held a press conference on his first full day in office Tuesday, at which Kurdish police chief Omar Khatab was asked to speak. 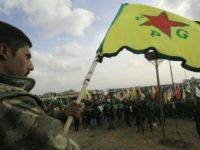 Khatab was also rather forcefully asked not to speak in Kurdish on three different occasions, even when responding to questions asked in that language by a Kurdish reporter.